Over the years we've developed a range of products that we can offer off the shelf, on top of our standard services. Even if your requirement isn't listed, if it's anything to do with composites, resin transfer moulding processes, vacuum assist resin injection, vacupress, thermoplastics or silicon, we can more than likely provide a solution. Click images to enlarge below. Our vapormatt wet blast service is used to treat primarily metal parts to restore surfaces to look as new with all surface contaminants and grease fully removed. This is very popular for car and motorbike components. As the surface finish is highly controllable, a range of effects can be acheived from extremely gentle to very aggressive depending on the wet glass bead type used. Vapormatt blasting can also be used on ceramic, glass, resin and plastic surfaces. 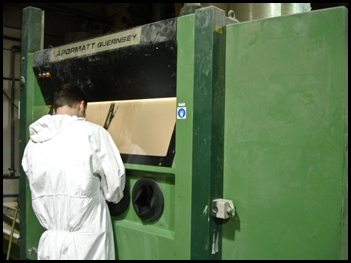 After processing, surfaces are left clean andwithout a residual dust layer as normally found after dry sand blasting. 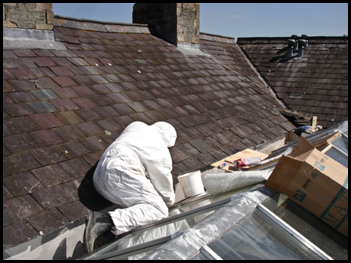 For our glass fibre roofing we either supply the raw materials of a complete service to install a GRP flat roof. A tuition service is available by appointment to ensure the best results are achieved. This comprises of a two hour session covering major aspects of GRP roofing including a practical demonstration of techniques. Health and safety issues are also covered in detail. The bed bug is a popular tear drop caravan with a lightweight composite body on a galvanised steel chassis. 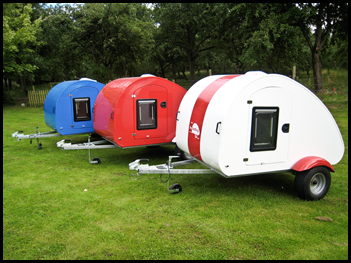 It provides a fully insulated sleeping pod that can be towed by the smallest of cars or even by a trike. We now offer a wide range of 3D scanning service with our FARO Arm equipment. 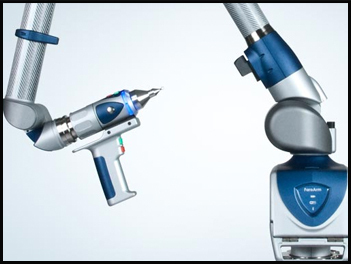 Using industry-leading technology, our FARO Edge arm and Laser Line scanner can scan up to 2.7m (9ft) in spherical working volume, for either touch probe measurement or non-contact laser. Used in conjunction with Polyworks software we can produce inspection reports tailored to your specific requirements. Our FARO equipment is fully portable, so if you don't have time to visit us at Hereford or have sensitive material, we can travel to your location to offer our 3D scanning services. We offer a range of services to the automotive and motorsport industries. From rally light clusters, repairing Caterham/kit car nose cones and bodywork to a full single seater fibreglass shell, there is not project too big or small. 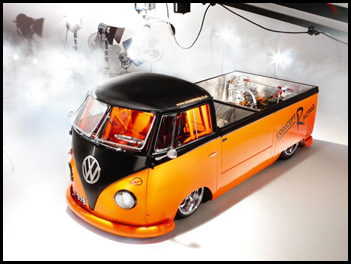 You can also see our case study on Concept Racing's VW single cab here, where we manufactured a bespoke carbon fibre roof and moulded seat for the driver. 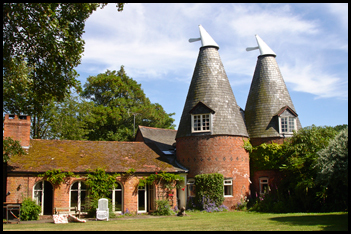 Reproduction oast house cowls produced using either treated and painted timber or a lightweight timber structure encapsulated in GRP. 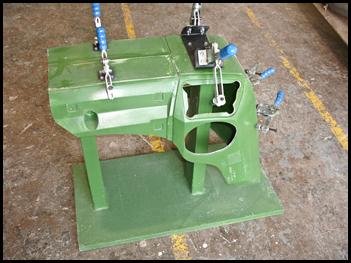 The rotation is kept smooth and quiet by use of either taper roller bearings or more traditional cast iron bearings. We create silicon moulds for signage and artists with a wide range of uses, including prototypes for the female and male leisure industry. We can manufacture automotive assembly jigs and nests for checking of exterior body and interior components. The photographs shown illustrate a check and gluing fixture for a dashboard subassembly. 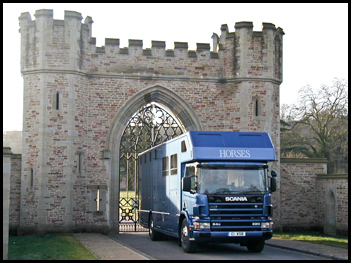 We manufacture Luton pods and wheel arch mouldings for PRB Horseboxes of Leominster, as shown to the left and below. Luton pods can be made bespoke from scratch and we can also provide repair services. The photograph of the grey pod illustrates the mould pattern that we have made to take the mould from prior to manufacturing, and the white pod is the finished component prior to painting. 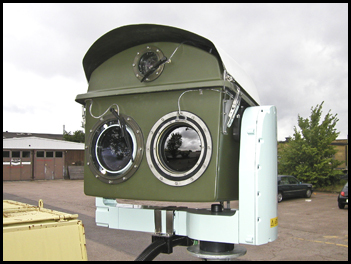 Radomes and camera houses are produced primarily from either glass/epoxy or polyester fire/epoxy composites eith with or without foam cores using vacuum bag consolidation methods. You can see a case study on camera housing here. 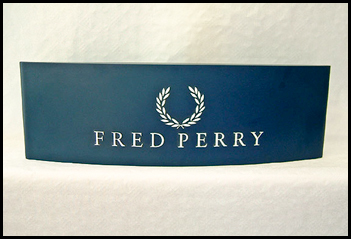 Our signs and point of sale (POS) are created from polyurethane foam and can be custom made to any style. Work has previously been completed for European golf courses.